I set out to head down to the Electric Line and visit Hyde Park Records this morning when I determined that my walk from Union Station Canal St. could lead me past Reckless if I diverted about .25 miles. That's reasonable! 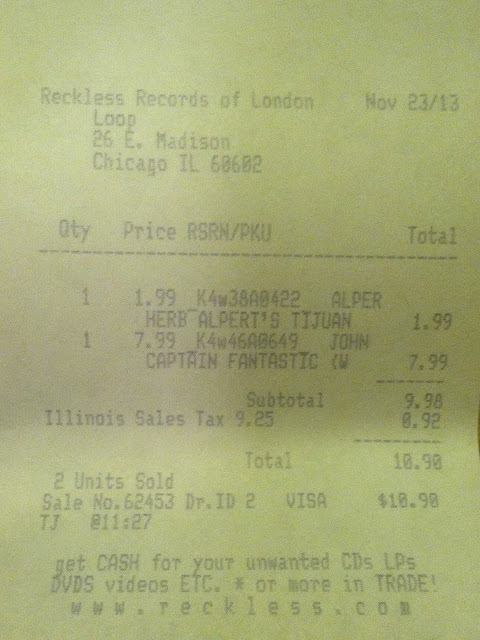 A friend and #1 vinyl junkie cohort asked me to take a look for a decent copy of Elton John's 'Captain Fantastic...' I quickly found what appeared to be an excellent copy for $7.99 but one problem - I could not find anything for myself! I selfishly decided there was no way I was going to walk out with a record for something else and nothing for myself! I finally found their small 'easy listening' section (poor Herb is always sequestered in the oddest places) and grabbed a 1.99 (but 'very good') copy of 'Volume 2' leaving me with only 3 more Tijuana Brass records left until I accrue the entire discography through 1969. They did have 'Herb Alpert's Ninth' but I opted not to grab it. Why? Because before long I'll be in another store with a limited selection of what appeals to me, but everyone has Herb Alpert. I did actually carry around a copy of 'Getz/Gilberto' for a while before I returned it to 'Misc Jazz G' on the grounds of poor condition. (I was shocked not to find a copy at Hyde Park later that day). Finally happy with my decision I decided to move on and finish my journey to Michigan/Van Buren and the warm train station where I could eat my egg salad sandwich and await the south leg of my trip. I carried my finds to the checkout and the fella behind the counter fetched the platters and offered them up for my inspection: both passed with flying colors. 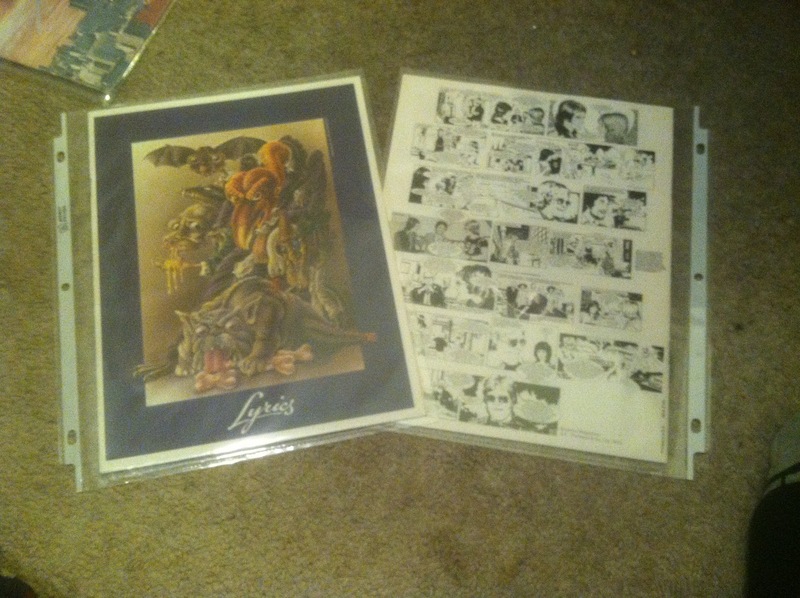 But as I picked up the Elton John LP I noticed there were some kind of insert(s) inside the dust cover. "Promotional garbage" I silently said to myself as I paid and moved on out. When I got to Van Buren I pulled my scores out for a closer inspection to pass the time. It was here that I was shocked to find that this record had some serious extras included. How I walked out with a truly 'complete' version of the album for 8 bucks - and in this condition, vinyl/jacket/extras - is beyond me. I promptly put this stuff in some extra magazine sleeves I had laying around when I got home. Not pictured here is a poster, creased as though it was never once unfolded during its lifespan which is even longer than my own. My friend will be thrilled! On a related note the same friend got me into this artist - I was shocked to find that they had their own tab in the crates. But nothing lurked within. 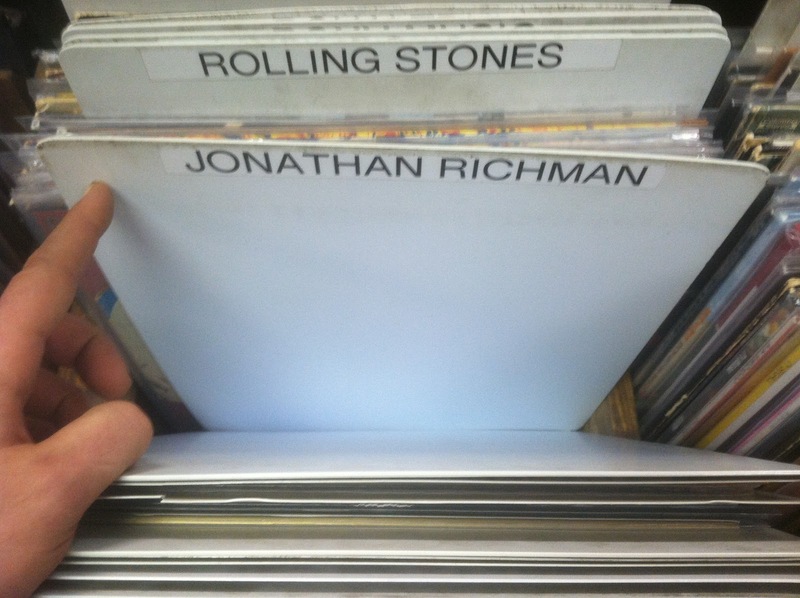 Still, Mr. Richman is worthy of a listen. (it was a very tough call between the video above and this).